A perfectly delicious treat! 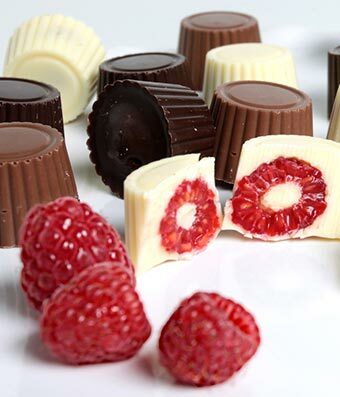 Our fresh raspberries are covered in milk, white and dark Belgian chocolates and arrive in an elegant box. A gourmet gift that is perfect for your special occasion.